Part Three of my "How I Spent My Summer Vacation" series. 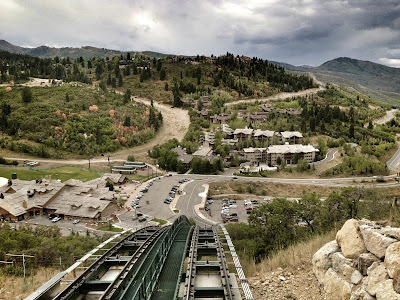 Our evening started with a beautiful funicular ride up the mountain to the St. Regis Deer Valley Resort and J&G Grill. As we ascended our anticipation rose with us both to see the beauty of the resort itself and to experience the food Chef de Cuisine Shane Baird and his staff would prepare that day. While some in our party had dined at J&G in the past I had yet to experience any of renowned chef Jean-Georges Vongerichten's restaurants which include Jean-Georges in Las Vegas' Aria, J&G Steakhouse locations Washington D.C. and Scottsdale, AZ, Market by Jean-George at Hotel Shangri-La in Vancouver, and Market at the W in Boston. 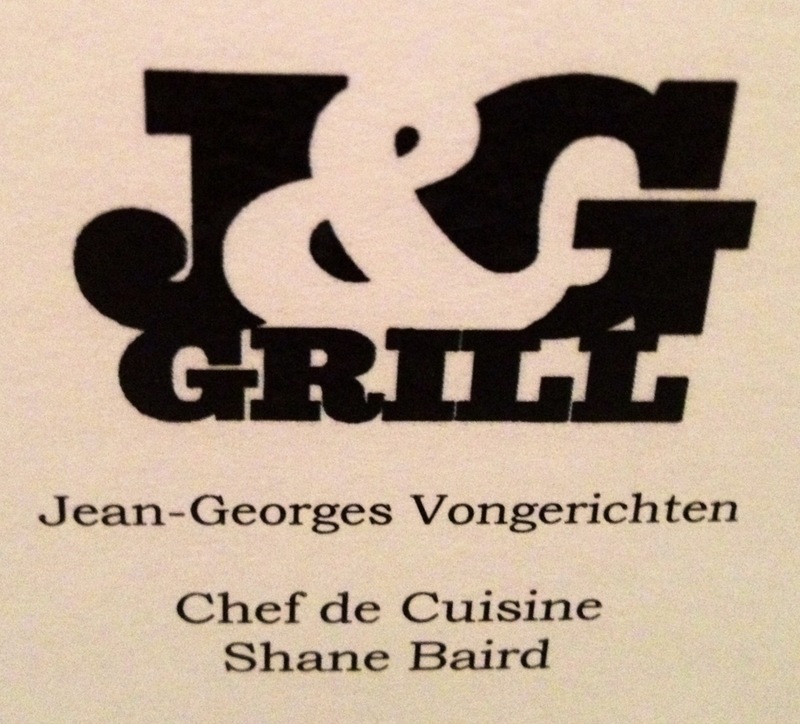 Author of five cookbooks and co-host of Kimchi Chronicles, Vongerichten was also responsible for the legendary Vong restaurants and a New York bistro, JoJo where the food, the Wiki tells me, was described in the New York Times as breathtaking. Breathtaking certainly describes our walk around the grounds that day. We delighted in the glorious views of Deer Valley and the mountains beyond. It was almost too much to tear ourselves away and head in toward dinner. Almost. 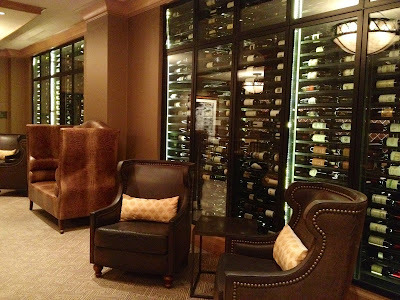 Inside a few of us were given a personal guided tour of the extensive wine vault including a display of signed bottles from dozens of wineries. I'm not sure if being surrounded by the wine list made our decision more difficult or less, but we managed to reach a few tasty conclusions before the menus were cracked. View from Outside the Vault. I'm a bad tourist. Moving on to dinner selections I chose the Maine crab and mango salad with lemongrass dressing and endive to start. 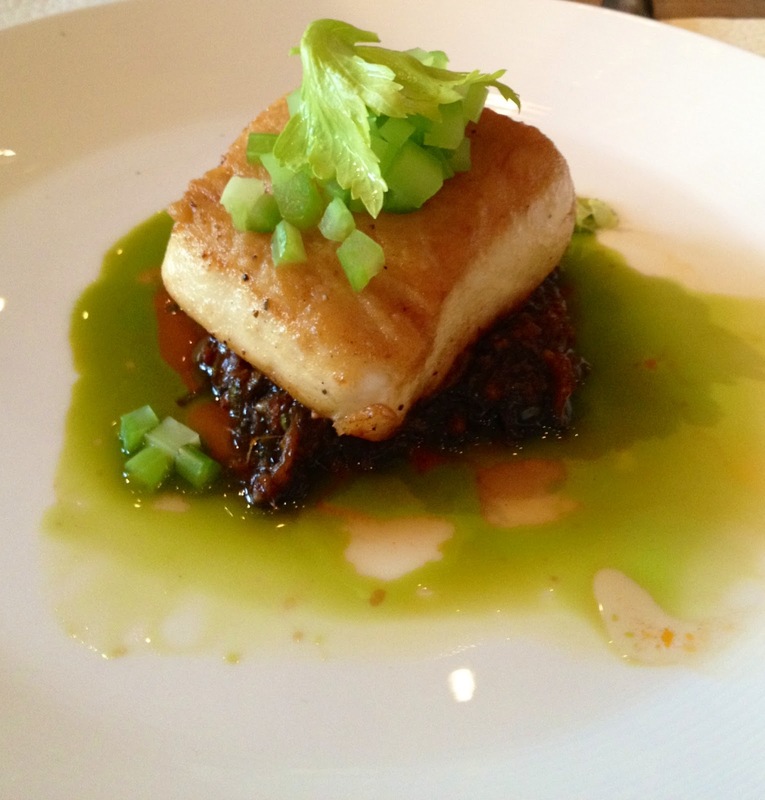 The Hawaiian butterfish in Malaysian chili sauce pictured above was a must for my main course. The flavors were as impressive as the surrounding views. Yes, breathtaking. 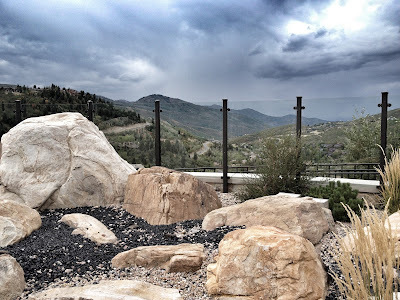 J&G Grill and the St Regis Resort were like a vacation within our Park City vacation featuring magnificent views, exemplary attention to service, great wine and excellent food. Want to try making that butterfish yourself? Click here and Chef Baird will show you how it is done. Tomorrow: Part Four winds up the Park City series and finds a great meal beyond Thunderdome.